"was great to fly with"
✅ Trip Verified | Norwegian was great to fly with. The Boeing 787 seats were very comfortable. The staff were friendly. My flights were all on time and check in was a breeze. The best part is that it was a direct flight from London to USA and return and extremely reasonably priced. "Meals have to be pre-ordered"
✅ Trip Verified | Copenhagen to Orlando with Norwegian. This was the worst flight I've taken in thirty years. The staff seemed robotic as if pre-programmed - efficiency at any cost, as a result they were impersonal and rude to me. Meals have to be pre-ordered on this airline but I was not aware of that, even though I bought my ticket several months in advance. "missed our Spirit Airlines flight"
✅ Trip Verified | Paris to Ft. Lauderdale on Norwegian. Flight DY 3077 was delayed an hour and further delayed another half hour when they had a passenger arrested by local police and TSA at Ft Lauderdale. Because of the delay, we missed our Spirit Airlines connecting flight to Dallas less than 2 hours later. When I spoke with customer service at Norwegian in Ft Lauderdale, they mentioned “their only responsibility was to get us back to the US.” I called the corporate number, and a representative actually confirmed this. She said that if they are not more than 5 hours late the only compensation they provide are meal vouchers. Spirit, with whom we had our connecting flight with, didn’t have an available opening on a plane for four days! 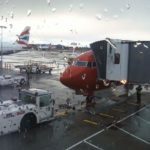 Not Verified | I've just flown from Gatwick to New York return flight, my experience was very good, very good punctuality, excellent service, friendly staff and the food was good quality for “plane food”. 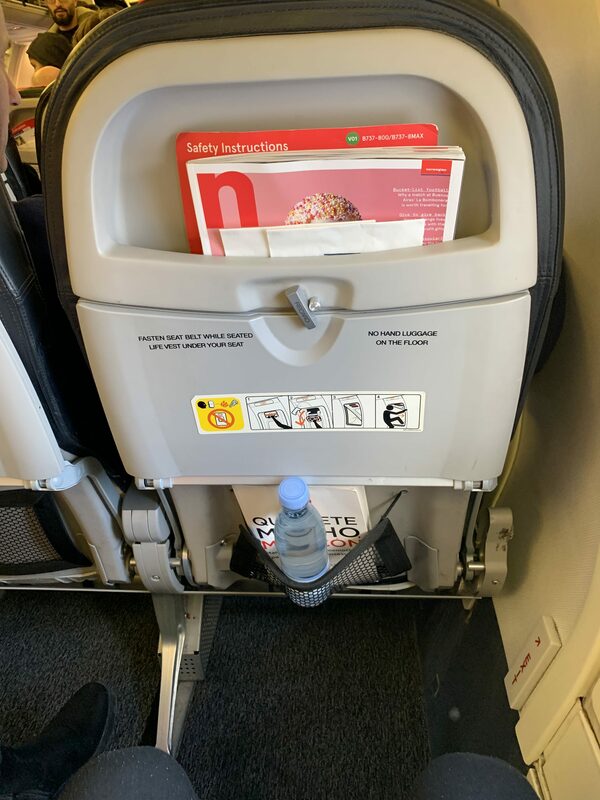 I was lucky on the way back as I got the “golden seat” the one near the exit door which means you are totally free to get up without disturbing anyone, so that was great , I would happily recommend Norwegian to my friends and family. "get less than you pay for"
✅ Trip Verified | Rome to New York. Norwegian advertises use of Boeing Dreamliners but every flight I have had has been farmed out to Privilege Style Airlines that uses old decommissioned equipment from major carriers such a Singapore Airlines. When I boarded I was reassigned to a seat because the originally assigned business class seat was unusable. As it turned out the one I was assigned was unusable also. The only function it afforded was allowing one to sit upright. Nothing else was offered since all other seats were taken. I was essentially ignored over the entire flight and had to endure nearly eight hours of unrelieved discomfort and stress. To boot, I was not the only passenger so inconvenienced. When I requested a complaint form I was told the complaint had to be made to Norwegian and not Privilege Style. 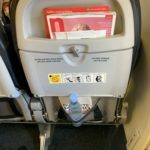 When I complained to Norwegian and asked for some restitution all that was offered was flight miles that wouldn't come close to even providing a one way coach trip and then with an airline I would never consider using again. 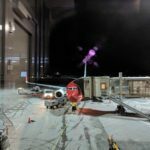 Anyone flying with Norwegian should recognize they are very likely to be mislead (there is a more potent word that is a more apt but probably not allowed), ignored, dealt with unfairly and with no expectation of customer service. With Norwegian you can expect to get less than you pay for. If the attitude toward their patrons and interior equipment is any guide, one flies Norwegian at great risk. They should not be in business. Do not fly with this airline. It is cheap (in every sense of the word), but if you think you are getting a bargain, you aren't and must be prepared to regret your decision. Norwegian's prices are tempting, indeed, but not worth the risk. 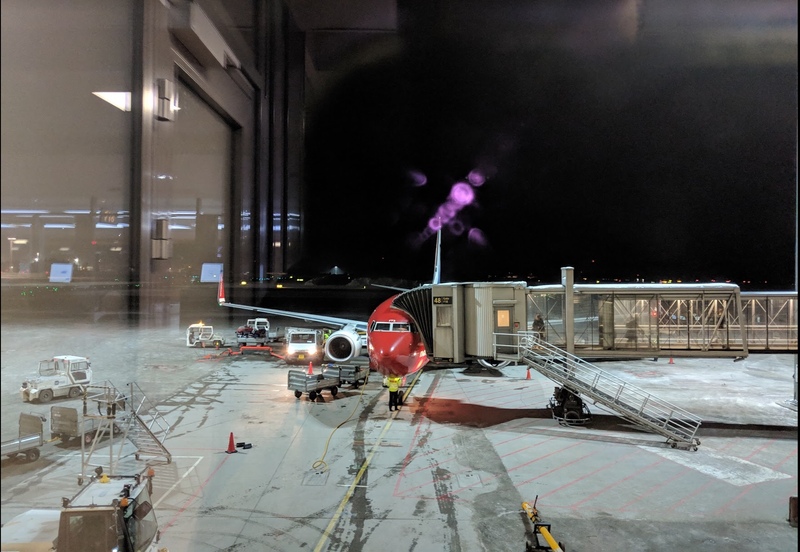 "informed that I was on standby"
✅ Trip Verified | Purchased a one-way Norwegian ticket from New York JFK to London Gatwick to catch a connecting flight to Geneva. Arrived at JFK at 8pm on 20 April (over 3 hours before the flight) to chaos at the checkin - machines didn’t work (nor did advanced check in) and thousands waiting in unmoving queues. When I finally reached the desk I was informed by a rude staff member that I was on standby - she admitted they had oversold the flight. In the end, the best she could offer me was waiting 2 days for another London flight (the next day was fully booked) or flying to Amsterdam later that night - with no chance of catching my connecting flight in London and having to purchase a new and very expensive ticket myself (Norwegian refused, even though it was clearly their fault) to finally get me to Geneva. I’m writing this from Schiphol Amsterdam during a ten hour lay over! 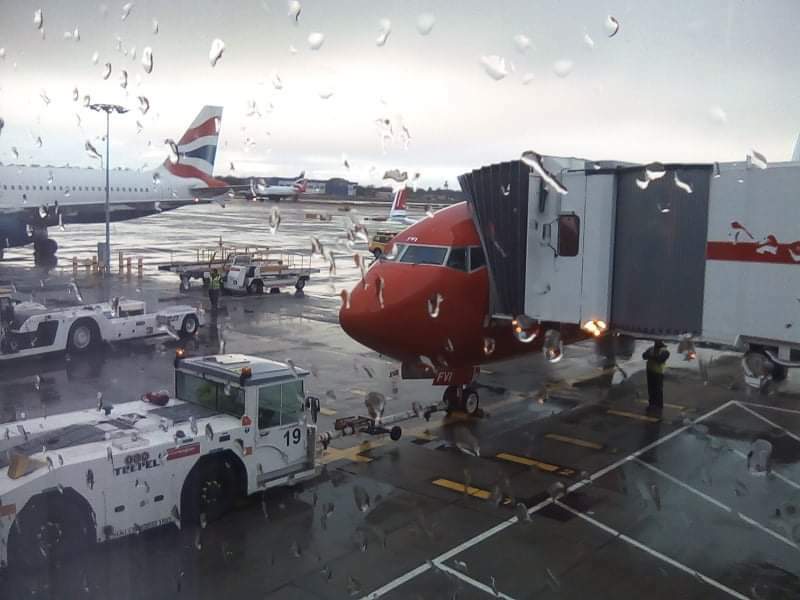 If this is where deregulated air travel has taken us - when airlines can refuse to honour tickets they’ve sold and leave the traveller high and dry for days - without an apology, let alone attempts to help - then something has gone terribly wrong. Norweigan has achieved a new low for me - and I’m sure I’m not alone. "his personal item was over"
✅ Trip Verified | I recently flew Boston to Gatwick with my 2 kids. We paid close to $600 per ticket, which I know they consider low cost, but which I don't consider cheap. If you buy the LowFare tickets, they seem determined to make you as miserable as possible, and charge you enough extra fees that it would have been the same price to fly on a better airline. Unless you pay for the upgrades they offer you, you may be seated in the worst seats on the plane, possibly separated from your party. I did not expect to be charged an extra 70 pounds for luggage on the way back. We flew to London without incident. Then, we tried to check in at the kiosk and for some reason, it would only check in myself and my daughter and not my son. We had to wait in the long line. We were given no explanation for this, but when they weighed his carry on together with his personal item it was over. I was unhappy about this, since this had not been an issue on the flight over, but I agreed to pay. I waited there with my credit card out, and finally another woman came over who I guess was the manager. She said that I shouldn't have told her that we were not charged on the way over because now she was going to charge me for that fare too. I did not feel like I was in a position to argue, since I did not want to be denied boarding, so I got stuck paying. I have never experienced this poor level of service. Never again. ✅ Trip Verified | Barcelona to Gatwick. Very smooth flight and quickly. It was on time in Gatwick which was perfect. The bags didn’t take long at all to arrive. The crew was nice and polite. Just don’t know what happened to the screens that they used to have. Oh well I guess they were not working or something. Overall nothing to complain about keep the good work. Not Verified | First flight was delayed 4 hrs - now on way from Paris back to Oakland delayed because route needs to changed. Waited on the ground now passenger is sick and we are delayed another 2 hrs. Never will we fly with them again. "hand luggage over 10 kg"
✅ Trip Verified | Oslo to Gatwick. What a terrible airline - avoid at all costs. The staff on the ground are sullen and unhelpful. They made us check in 2 bags at boarding, because the combined hand luggage weight for two people in our party was over 10 kg. They charged us 150NOK, there were 5 of us in total and we could have redistributed the weight amongst us and none of our baggage was oversized.